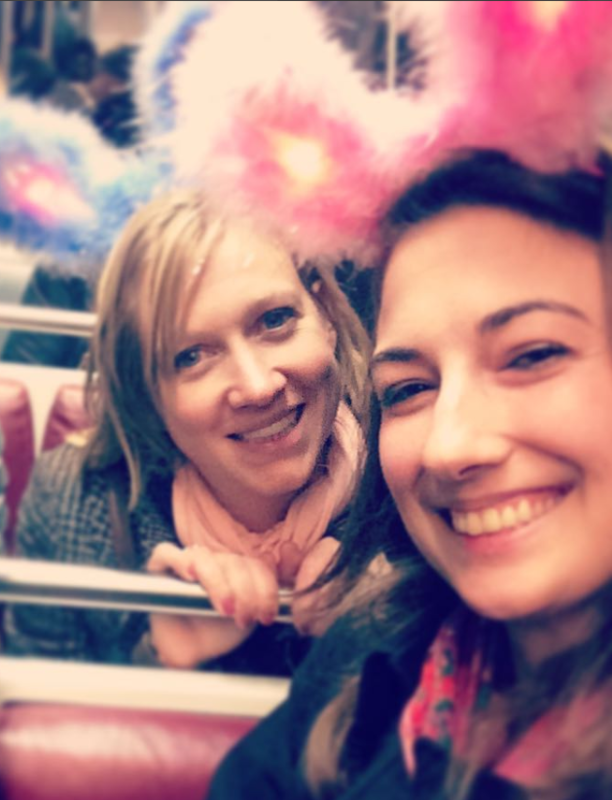 It’s the Year of the Woman 2.0, party people. A record number of women are running for office in the American midterm elections. We will see what happens in the coming hours, but it looks like we could soon have more lady leaders and legislators. What better time than now to read Charlotte Nau and Craig O. Stewart’s 2018 paper on how verbal aggression from men and women is evaluated in political speech? First of all, this article was published in the Journal of Language Aggression and Conflict. The specificity of some of these journals tickles me. I hope they have a special issue for papers on Guys Who Lash Out After You Don’t Respond to their Messages on Tinder. Verbal aggression is defined in the article in various ways by various smartypants people, but most definitions include an element of targeting the personal- looks, character, brains, abilities, identity, etc- rather than someone’s viewpoints. It comes in a variety of forms: profanity, putting a hex on someone, mocking, threats, or just regular old insults. Most existing research in this area analyzes attack ads. Nau and Stewart are interested in verbal aggression in speeches and debates rather than media advertising, which is unlikely to have been written and often not even voiced by the candidate. The first experiment compares male and female verbal aggression and the effect it has on speaker credibility, listener agreement with message, and perceptions of appropriateness. 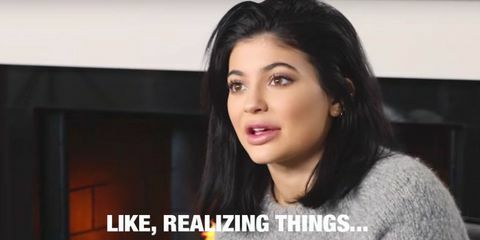 The researchers hypothesized that ladyfolk exhibiting verbal aggression in political speeches will be deemed less credible, less appropriate, less effective in their message, and overall more aggressive than menfolk doing the same. Just kidding, it was more like, “You obviously don’t know what you are doing…” and “you’re a hypocrite.” Introductory information for each excerpt gave a fictitious name of the politician and their title as Congresswoman or Congressman thereby revealing the gender. Participants had to rate their agreement with the message, their perceptions of the speaker in categories of credibility and appropriateness, and their overall aggression. The second experiment was largely the same, but to increase the salience of gender they included images of a female or male speaker in place of the introductory information that said congresswoman/man. The paper explains the rigorous selection process of the photos and how they were randomly assigned and reassigned to speeches shown to different participants to minimize the effects of attractiveness and other factors on the research. I don’t want to bother with all that right now, so just trust me that it was legit. From the first experiment they found that messages with verbal aggression were viewed more negatively overall than the messages that did not include personal attacks. This is consistent with other research in this area. Howeva, the gender comparison analysis was not what they expected. There was not a statistically significant difference between how men and women were judged except in two areas: suitability and overall aggression (suitability was a subcategory of appropriateness.) In the nonaggressive condition samples, women were rated as more aggressive and less suitable than men. But in the verbally aggressive samples men were rated as more aggressive and less suitable than women. The results of the second experiment- with the pics- were pretty similar. Both men and women were judged more harshly for being verbally aggressive, but the effects were a teensy weensy more negative for women. The authors concluded that there wasn’t strong enough evidence to confirm their hypothesis on gender differences. They theorize that in spite of evidence that generally women are judged harshly for stereotypically unfeminine behavior like aggression, there must be an exception for political speech where aggression is normative. Well well well, I think to myself, vaginahavingly. These experiments didn’t yield the kind of headline-grabbing results which I can wokely plaster on my social media about women being unfairly penalized. But that is the thing about research- it can give us perspective on dominant cultural narratives bolstered with anecdotes. 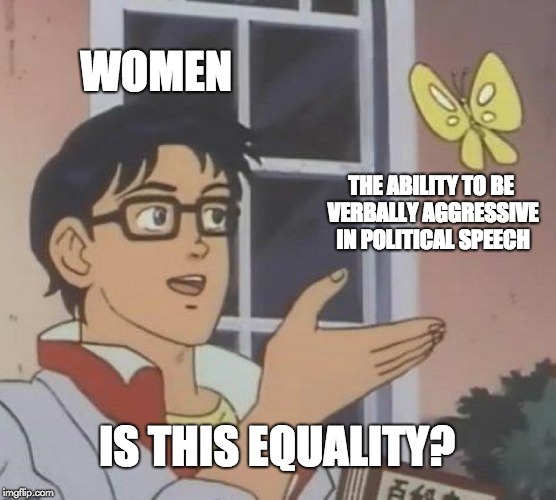 Women’s voices are frequently picked apart as annoying for… reasons, but it seems that in political speech verbal aggression is not an area where we have a significant disadvantage relative to men. I think there’s room to learn more about this area, but until then… Trash talk away, congressbishes. People don’t really like it, but they don’t like it at similar rates in women and men. 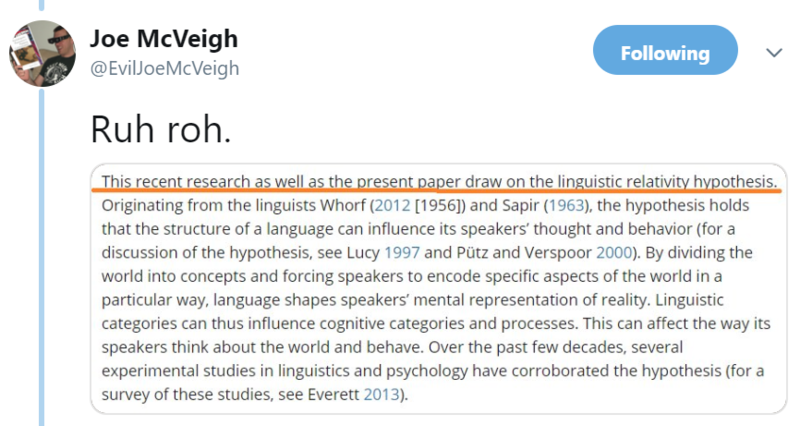 This paper is recommended for discourse analysis darlings and sociolinguistic sweetpeas. 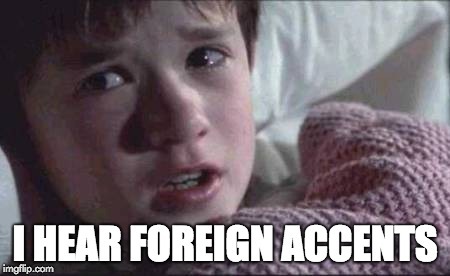 Learn a language, they said. You’ll be more desirable on the job market, they said. Everyone needs to be multilingual to be competitive in this globalized world, they said. Get that dinero, they said. In education and work environments language is often characterized as a skill that can be leveraged in this little system we call capitalism. Dr. Nic Subtirelu is skeptical of this. 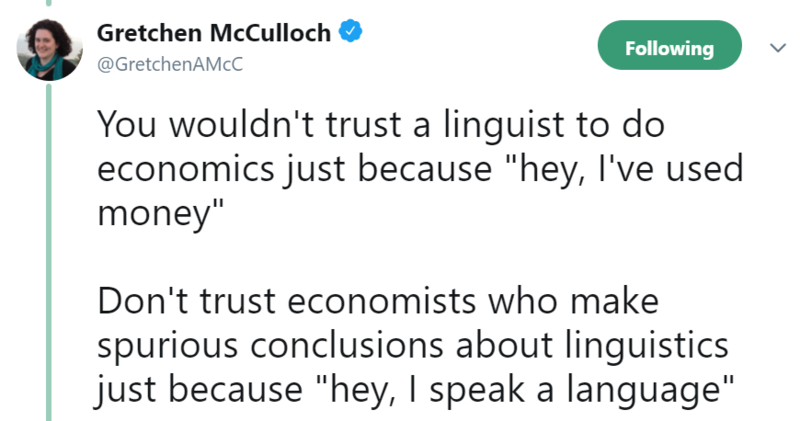 In his 2017 paper, “Raciolinguistic ideology and Spanish-English bilingualism on the US labor market: An analysis of online job advertisements,” he unpacks how the rhetoric of language skills as human capital doesn’t capture the IRL economic experience of language minorities. Are Spanish-English bilinguals in the United States earning the promised cold hard cash? 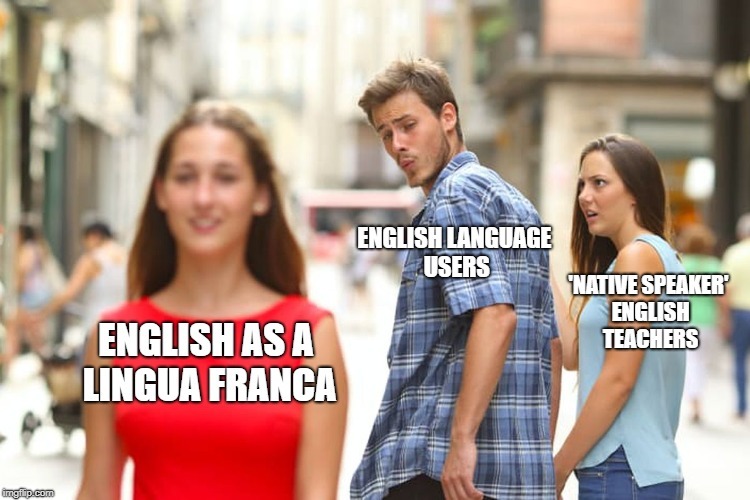 While there is evidence that Spanish-English bilinguals outearn Spanish monolinguals, it seems that Spanish-English bilinguals don’t get a pay bump over English monolinguals. 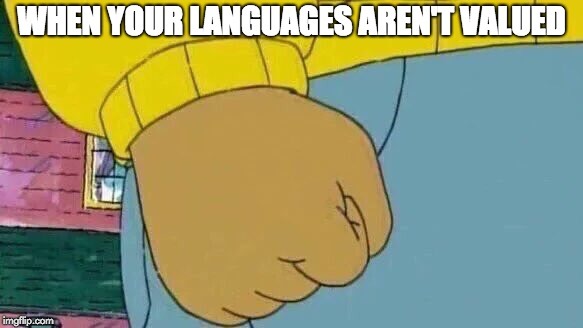 Hand-wringing reports of how Americans don’t learn foreign languages and will be ill-equipped in the global economy seem to ignore the millions of bilingual Latinxs in the U.S. Raise your hand if you think racism has something to do with that. Subtirelu applies a raciolinguistic ideology lens to the issue. Raciolinguistics is exactly what it sounds like. 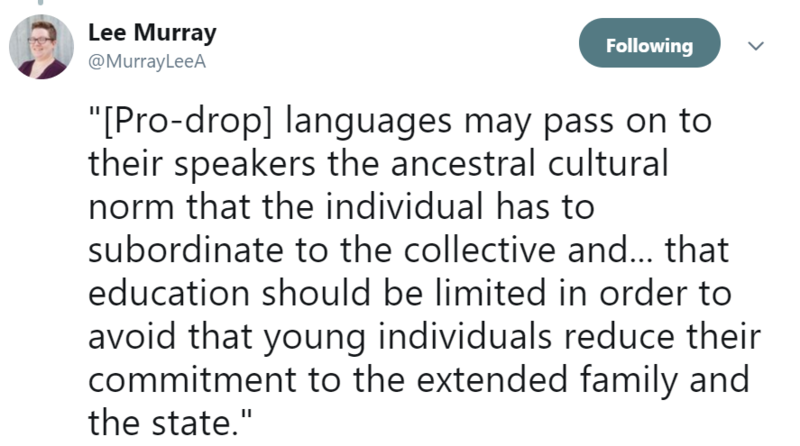 It’s the study of the relationships between race and language- both how language is used to construct race and how race theory applies to linguistics. For example, people who hold antiblack and racist attitudes are likely to have a negative view of African American English (AAVE). 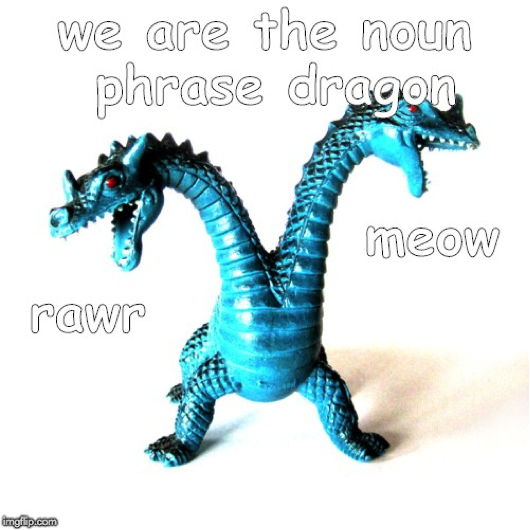 For the record, AAVE is a legit dialect with its own sophisticated grammar and a unique phonology. 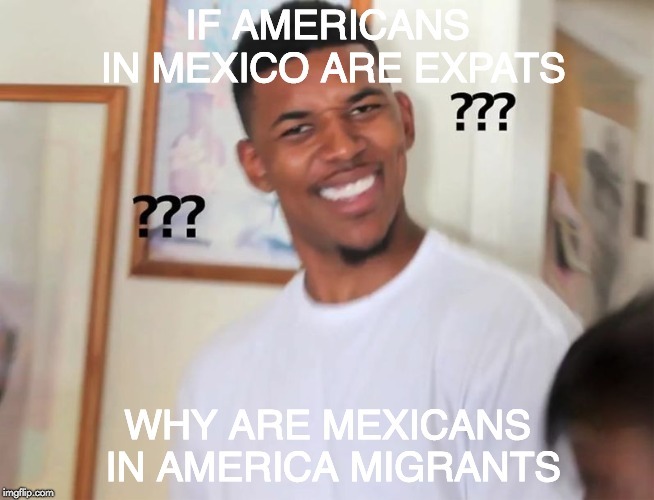 According to raciolinguistic concepts U.S. Latinxs are racialized and therefore their English and Spanish are deemed non-standard and ‘deficient’ compared to the English of white Americans or the Spanish of Spaniards. Subtirelu argues that U.S. employers conceive of Spanish in two ways. First, It’s a world language, which has economic value because it could be leveraged in international trade to ganar dinero. (Mexico is one of the United States’ biggest trading partners.) Second, Spanish is also conceived of as a local language, which has economic value because it can be used to hablar con U.S. Spanish speakers in customer service scenarios. 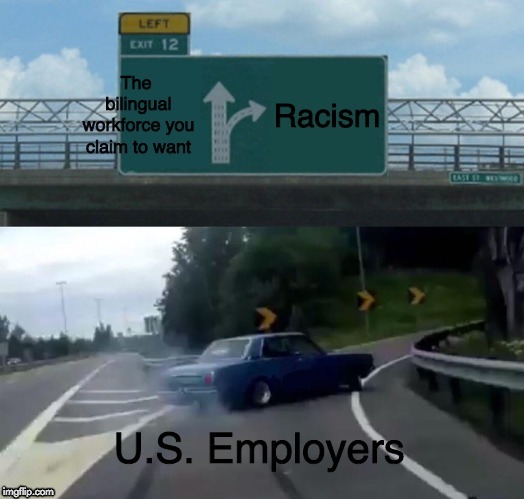 When employers orient toward Spanish as a world language for fancypants corporate jobs, they disregard U.S. Latinx bilingualism, but when employers need Spanish as a local language they are likely to hire bilingual U.S. Latinx workers. 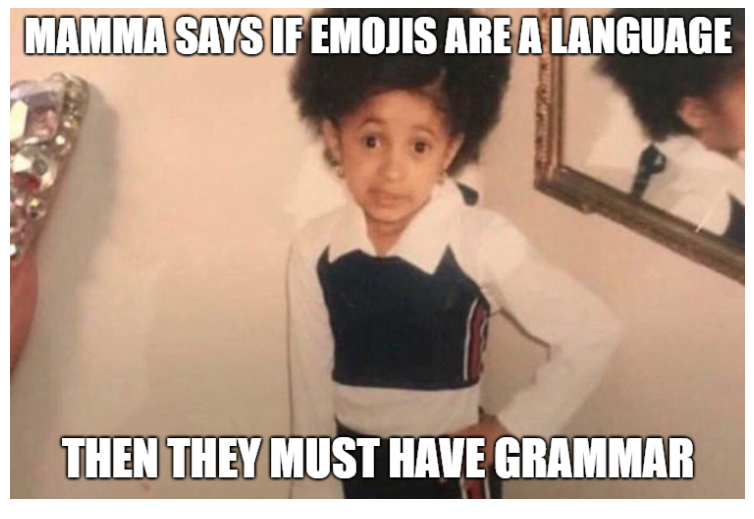 But do those language skills come with a wage premium? Existing research points to no. He pulled 74,000 job advertisements from an online job board to identify how many jobs prefer or require Spanish-English bilingualism. And what those jobs are. And the difference in pay between those jobs and similar jobs without bilingual requirements. And which job descriptions conceive of Spanish as a world or local language. And any difference in pay among those. On average advertisements that did *not* mention Spanish had a higher salary listed than those that required or preferred Spanish-English bilingualism. Spanish was also more likely to be mentioned in ads that had low education and experience requirements. A matched sample contrasting jobs in the same states with comparable education and experience level showed that jobs that had *no* Spanish-English bilingual requirement paid an average of $3,500 more. Digging into the jobs that require Spanish reveals even more not coolness. The handful of high paying jobs oriented to Spanish as a world language, with language about performing audits in South America, international accounting, international distribution, etc. The slightly larger number of middle paying jobs were primarily nonprofit and education jobs that oriented to Spanish as a local language. By far the largest group were low paying ($15,000-27,000) frontline customer service jobs that conceived of Spanish as a local language. Additional uncoolness alert: the higher paying job ads were more likely to use language like speak fluent Spanish and the low wage jobs were much more likely to use the word bilingual. Subtirelu hypothesizes that the label bilingual was serving as a code for a more ‘nativelike’ authenticity than the label fluent and may carry some racial undertones. 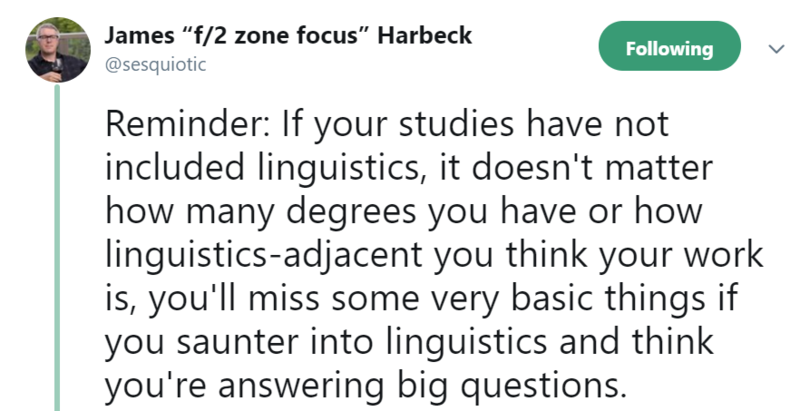 As an academic he has to hedge his impressions with qualifications and soft language, but we here at LinguaBishes are mere lowly linguistics groupies and I have no problem claiming with undue confidence that bilingual is probably code for Latinx in these ads and fluent was code for a suit who double-majored in accounting and Spanish. While the job ads showed a demand for Spanish-English bilingualism, the most demand was in lower paying jobs that oriented toward Spanish as a local language and were probably recruiting Latinxs. The electoral success of Donald Drumpf on a nativist platform, the botched federal government response to Hurricane Maria in Puerto Rico, and ICE ‘mistakenly’ detaining U.S. citizens that are Latinx are just a few signs that many whites don’t view Latinxs as sufficiently American. 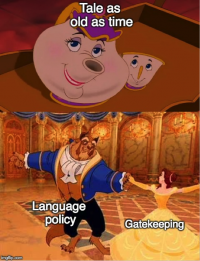 This research shows that this denigration extends to their bilingual skills, which are not financially valued in the job market despite capitalist rhetoric extolling the benefits of a multilingual workforce. 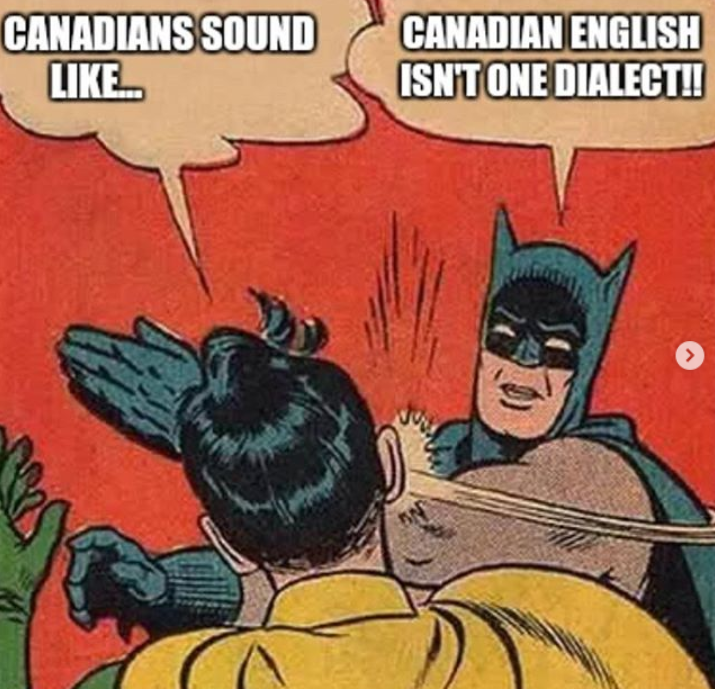 Though this has all been rather disheartening, it’s important for linguistic research to continue shedding light on whose languages and dialects have built-in privileges and who is given a pat on the head and a low wage job for their language skills. This paper is recommended for bilingual bishes, sociolinguistics stans and anti-racists.